2) At the age of 16, Patrick had the misfortune to be kidnapped by Irish raiders who took him away and sold him as a slave. He spent the intervening years in Ireland herding sheep and learning about the people there, until at the age of 22 he managed to escape. 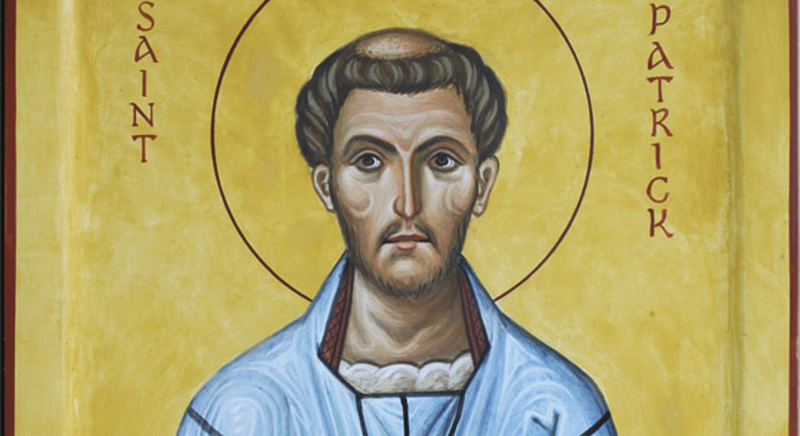 He made his way to a monastery in England where he spent 12 years growing closer to God. 3) The shamrock is a popular Irish symbol, but is not a symbol of Ireland. Many claim the shamrock represents faith, hope, and love, or any number of other things but it was actually used by Patrick to teach the mystery of the Holy Trinity, of how the Father, The Son, and the Holy Spirit could be separate entities, yet one in the same. Obviously, the pagan rulers of Ireland found Patrick to be convincing because they quickly converted to Christianity. 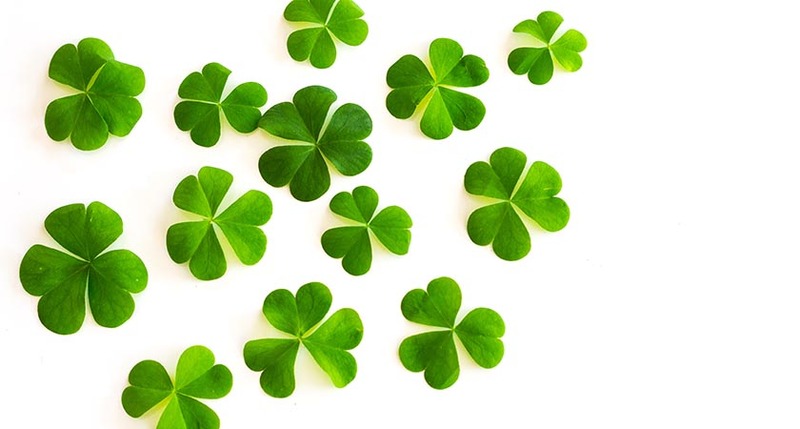 Incidentally, the odds of finding a four-leaf clover are about 1 in 10,000. 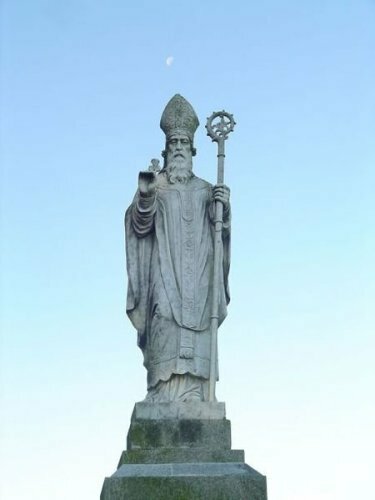 4) There is a legend which states that St. Patrick drove all the snakes, (or possibly toads in an alternative version) out of Ireland. As there is no evidence that snakes have ever existed in Ireland, the climate being too chilly for them, certain scholars suggest that the term snakes may be figurative and refer to pagan beliefs rather than reptiles or amphibians. 5) Contrary to popular belief, the original colour associated with St. Patrick is blue, not green. In many early artworks depicting the saint, he is shown wearing blue vestments. King Henry VIII used the Irish harp in gold on a blue flag to represent the country. Since that time blue has been used to represent the country on flags, coats-of-arms and sports jerseys. Green was later adopted by the country because of the greenness of the countryside and may also have led to the country being referred to as the Emerald Isle. 6) Besides the colour green, the activity most associated with St. Patrick’s Day is drinking. However, Irish law, (1903 – 1970), declared St. Patrick’s Day a religious observance for the entire country meaning that all pubs were shut down for the day. That meant no beer for public celebrants. St. Patrick’s day was a dry holiday in Ireland until 1970 when the law was overturned, allowing the taps to flow freely once again. 7) One night Patrick dreamed that Satan tested his faith by dropping an enormous rock on him. He lay crushed by its weight until dawn broke, when he called out, ‘Helios! Helios!’ (the name of the Greek sun god) and miraculously the rock vanished. Taking it as some kind of epiphany, Patrick later wrote ‘I believe that I was helped by Christ the Lord’ In another vision back in Bannavem Taburniae, he was visited by an angel with a message from the Irish: ‘We beg you, come and walk again among us’ Thereafter Patrick retrained as a bishop and went back to Ireland. 8) Another legend tells of how Patrick fasted for 40 days atop a mountain, weeping, throwing things, and generally behaving very badly until an angel came on God’s behalf to grant the saint’s outrageous demands. 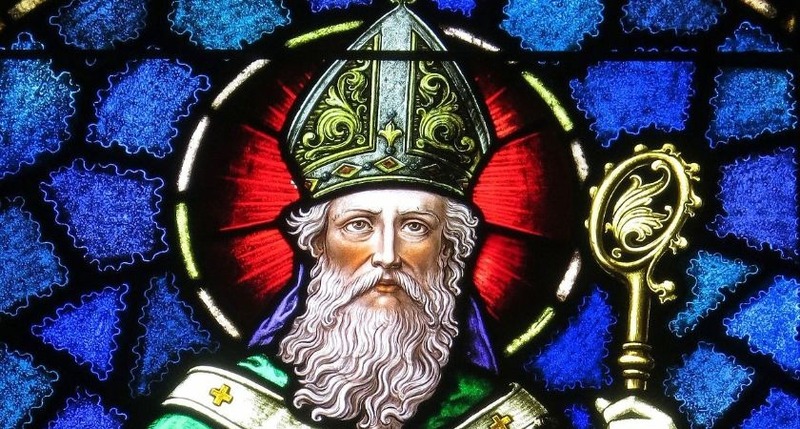 These included permitting him to redeem more souls from hell than any other saint, that Patrick, rather than God, would judge Irish sinners at the end of time and that the English would never rule Ireland. Perhaps God will keep the first two of those promises! 9) Traditionally, every year, the Irish leader hands a crystal bowl full of shamrock to the US President. The shamrock, grown in Kerry, is immediately destroyed by the Secret Service after the exchange. For security reasons it is not permitted to give a food or floral gift to the US president. 10) St Patricks day is also a national holiday on the island of Montserrat in the Caribbean, a tiny island with around 4,000 inhabitants which became home to a large number of Irish emigrants in the 17th century. Montserrat will be holding an entire week of celebrations, including a Patrick’s Day dinner, a calypso competition and a church service.